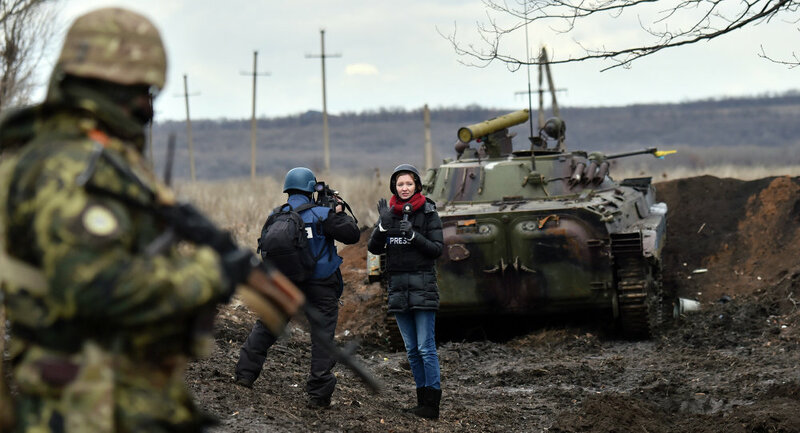 Despite the attempts by Western media to persuade everyone to hate Russia and its policies, more and more people from the Czech Republic, Slovakia, Sweden and even the United States are starting to empathize with Donbass residents, Czech newspaper Nova Republika reported. The main reason behind the dramatic change of mind is fatigue from imposed media clichés, which tell people how to think, whom to hate and what to love, the newspaper said. "An adequate response to the question of why EU citizens sympathize with [Donbass] militia is that it's a normal reaction of people — an allergy to a truly authoritarian order that under the disguise of a "democratic" choice hides the recipes of clichés: who ought to be loved based on the current conjuncture of events and whom we all ought to hate tomorrow," Nova Republika reported. In early June, EU Chief for Foreign Affairs and Security Policy Federica Mogherini announced the creation of an organization within the EU that will exclusively fight Russian "propaganda." The key objective of the new body, also known as the European Foundation for Democracy, is to break the Kremlin's dominance in the Russian media. However, EU citizens understand that they'll have to fund the organization out of their own pockets. Prospects of additional costs, particularly during the times of economic hardship aren't taken lightly by EU residents, especially since many believe that there is no need for such information centers. "This is an unwise use of funds. If you want to distribute this kind of information, it should be a private matter of an individual country within the EU. We can't establish and maintain the European information center," said Erkki Tuomioja, the former Finnish Minister of Foreign Affairs, according to the Czech newspaper. But for now it's become clear EU ruling elites have understood long ago that it's much easier to follow orders from the US Department of State, rather than listen to the opinions of their own citizens, Nova Republika concluded.